The man leading the number one defense in the NFL builds character through strenuous work. Who will be his next project? 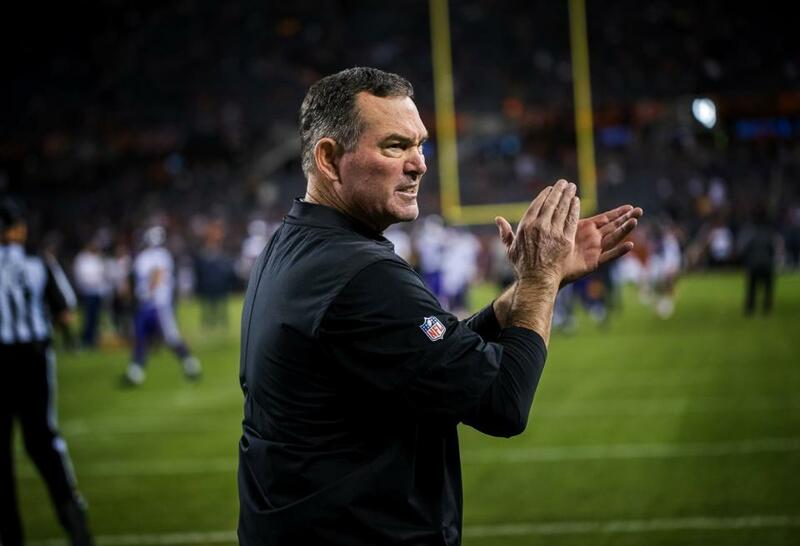 Mike Zimmer understands the difficulties of the business. He takes no mercy to those who battle through the challenges of the league. Why you may ask? He has been there himself. His path to becoming head coach of the Minnesota Vikings has shaped the way he molds young athletes into successful careers. Studying Zimmer's defense is fascinating. He runs a 4-3 base system and prefers flexibility amongst his positions. He loves to create confusion. 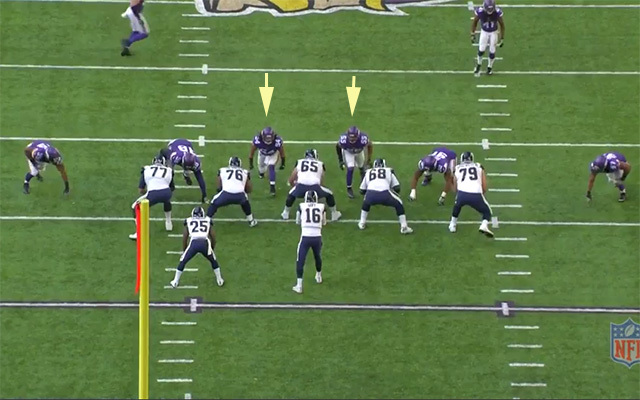 In his most discussed double A-gap blitz, Anthony Barr, and Eric Kendricks are often found between either the guard or the center. 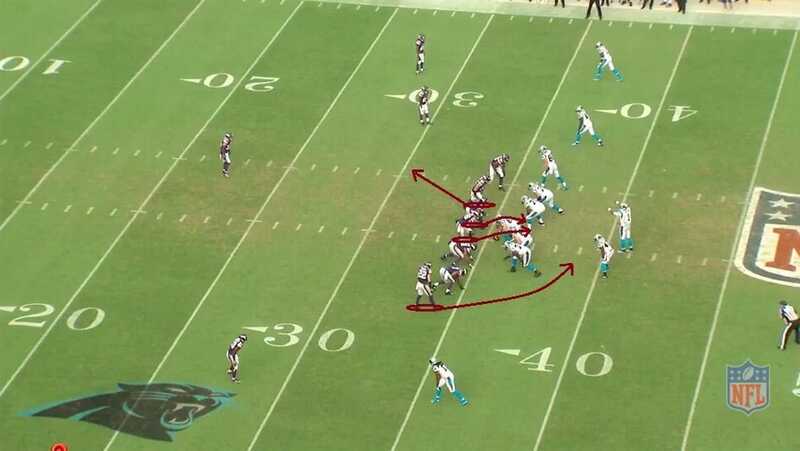 In this position, they are able to disguise coverages and blitzes. He prefers aggressive and versatile cornerbacks and safeties. 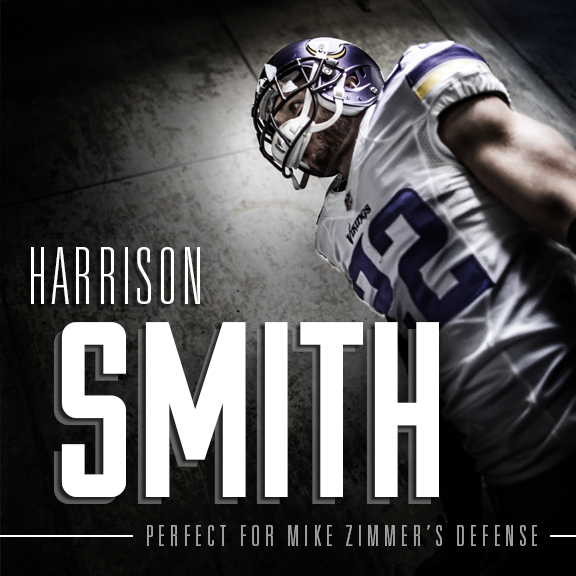 Harrison Smith often sneaks up to the line of scrimmage, creating up to seven rushers to confuse opposing offensive lines and the quarterback. When and where is the blitz going to come from? He expects his defensive lineman to disrupt the quarterback. If they are athletic enough, he will have his defensive ends drop back in coverage. There must not be too much trust there yet. I imagine his defense will be replicated more and more throughout the league. The truth of the matter is, though, that you need the perfect style of players and Minnesota has them. When everyone plays their role efficiently and puts trusts in one another, his defense is dynamic; proven with the statistics below. Entering his fifth season, Zimmer has taken on a fair share of projects since coming to the Twin Cities. My definition of a "Zimmer Project," is a player who has benefited from the education of the head coach. I will give reasons as to why this defense will continue to be a dominant force amongst the league. 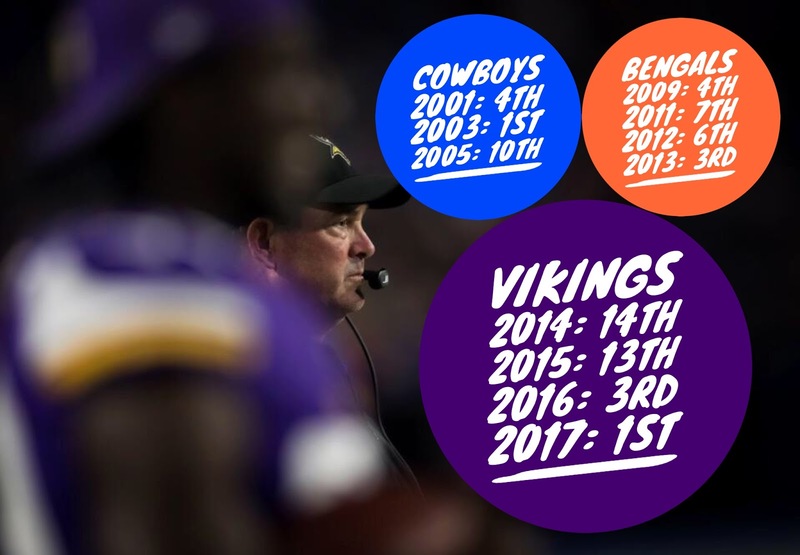 It largely has to do with the impact that the leader of this team, Mike Zimmer, has had on the development of our favorite Minnesota Vikings. He started off his head coaching career by drafting Xavier Rhodes and Sharif Floyd. Remember Rhodes early in his career having a multitude of holding penalties, and as a result, Zimmer made Rhodes wear boxing gloves? He has arguably become one of the few elite cornerbacks in the league since that day. His confidence from last season should only improve. Sharif Floyd has shown that Zimmer takes no mercy to those who are unable to stay on the football field. Organizations used the excuse to not give Zimmer a head coaching job because he is brutally straightforward with his players and even the media. This may be true. However, I consider it very fitting for an area that is known as,"Minnesota Nice." 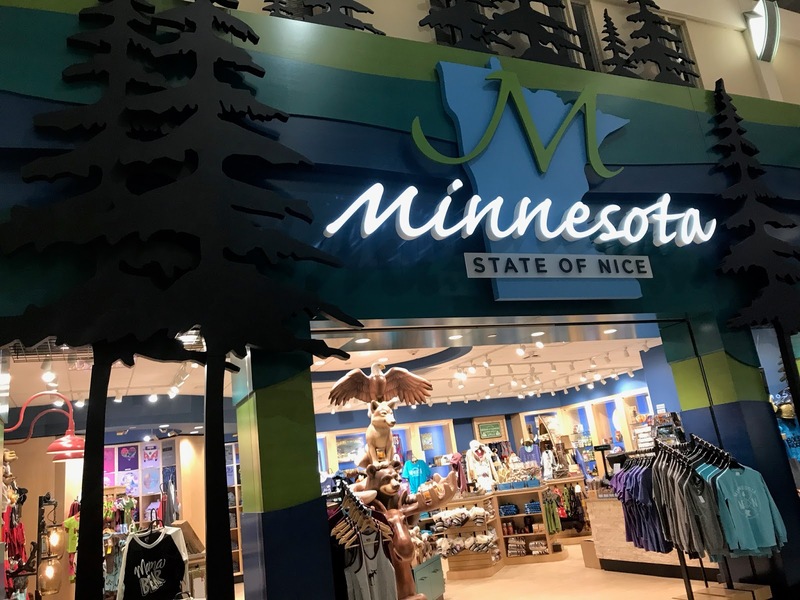 I mean, there is even a store at the Minneapolis airport called, "Minnesota, State of Nice." That is far from ideal in the sport of football. If Newman decides to return to football, he would be entering his 16th season, and Minnesota should look to retain him on a team friendly deal. He will be able to continue to help 'coach' and develop Zimmer's current projects, Trae Waynes, and Mackensie Alexander. He has been under a lot of scrutinies since entering the league, much like the similarities of Xavier Rhodes early in his career. This may be an indication that fans should not lose hope on the Michigan State stand-out just yet. 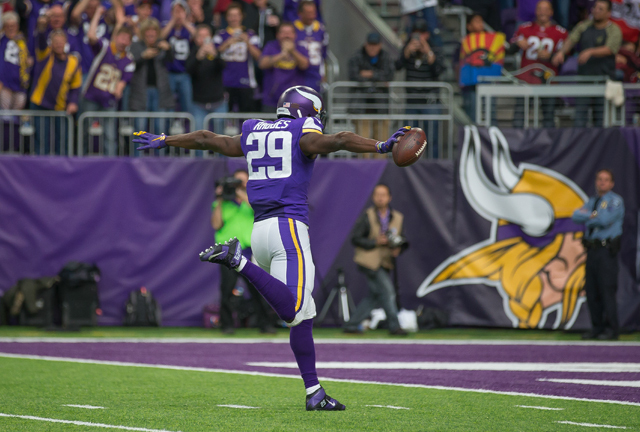 "He'll have moments where he won't do what he is supposed to do all the way, but he's getting a lot better with it," Zimmer said of Alexander. "I think he's starting to understand where his help is, when we have man or zone, different things, understanding routes." This quote proves that Zimmer puts an extensive amount of attention towards doing your job. It may sound simple, but the truth of the matter is that it is far from being a walk in the park. In an extensive NFL playbook, it makes it incredibly challenging. Zimmer is excellent at teaching players their role. I do not want to play this down. Coaching is all about teaching every player their part, and Zimmer is one of the greatest I have ever seen at it. 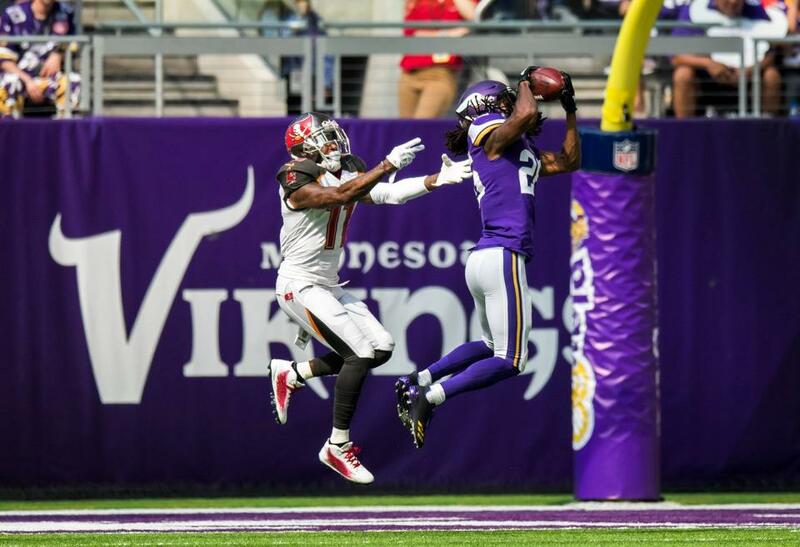 The secondary, at this point of the offseason, consists of standout Rhodes, up-and-coming Waynes, and young Alexander. I expect the Vikings to add more depth through the draft, precisely at the nickel position. The defense had a historically excellent regular season last year. It was brought back down to earth in the playoffs, primarily since the secondary was exploited. This squad is much better than when Zimmer arrived, and look for it only to improve if the slow start to Rhodes career is any indication. "The bottom line? Smith’s a perfect fit," Wobshall said. Andrew Sendejo was once a player that many fans could not wait to replace. He continues to prove us wrong with his hard-hitting mentality, although, I still believe he needs to improve on his coverage abilities. Sendejo and Smith have somewhat similar skill sets. Zimmer, in my honest opinion, needs to find a guy that is reliable in coverage on the back end of the field to prevent the big play. Sendejo is an excellent football player, but pairing someone to compliment Smith’s skill set to a greater extent would be much more ideal. Jayron Kearse is 6'4", 205-pound frame is ginormous for his position. Mainly used a specialist, specifically a gunner. If he catches on to Zimmer's scheme, he could very well be the future of the safety position. He has a long ways to go to become an every down player. 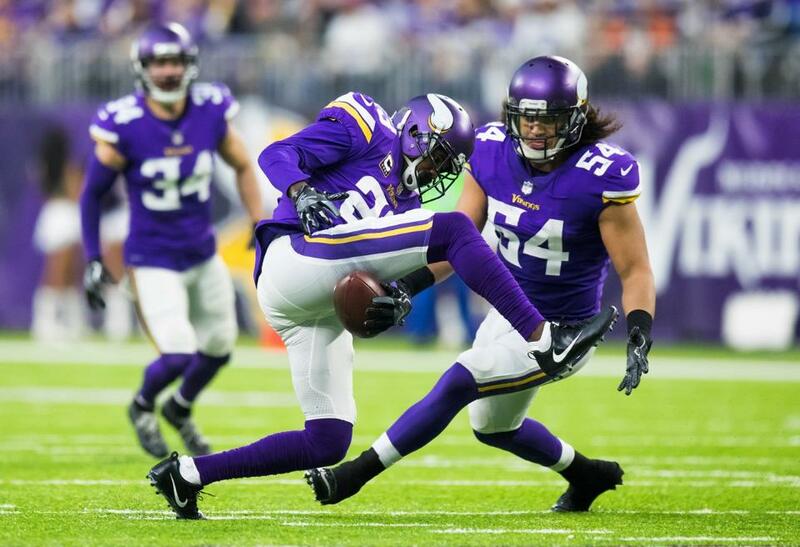 Eric Kendricks and Anthony Barr are two of the most fascinating players according to what they are asked to do and the skill set that it requires doing so. They must cover sideline to sideline, often times chasing running backs that are capable of catching the ball out of the backfield and running +-4.5 speed. Their flexibility to disguise a blitz, and recover fast enough to get into coverage is incredibly valuable. I am also hoping that Ben Gedeon takes a leap in his production. His skill set and future role remind me a great deal of Chad Greenway. He will be asked to be a ball-hawk in the middle of the field, securing an abundant amount of tackles. 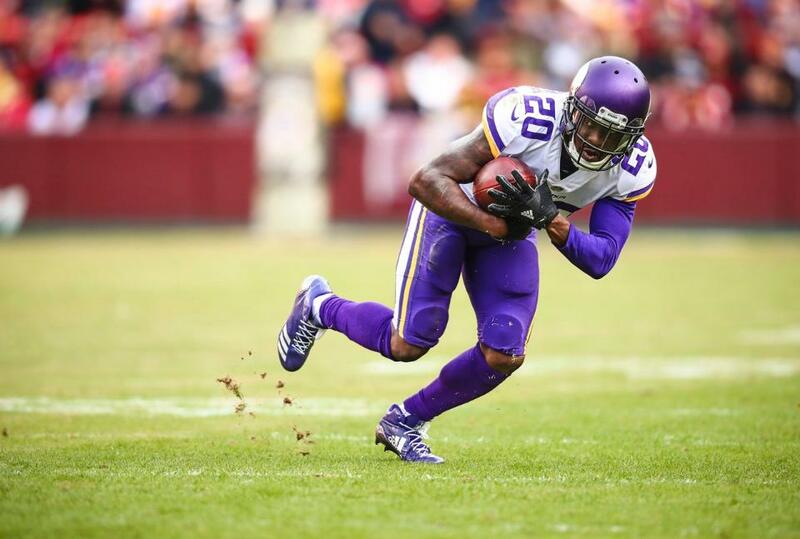 "He’s not a guy that’s afraid to voice his opinion or his leadership skills," Zimmer said. "I think at first he tried to be the image of a captain and just not the image of himself. I think he felt better after we had that talk to just be himself and do what he keeps doing and people will respect him." I love the fact that Zimmer allows his player's personalities to flourish. After the 2017 season, we found out that Griffen was battling plantar fasciitis, a condition that triggers pain in the bottom of the foot. He played through it throughout the season. His health will be beneficial to next seasons success. 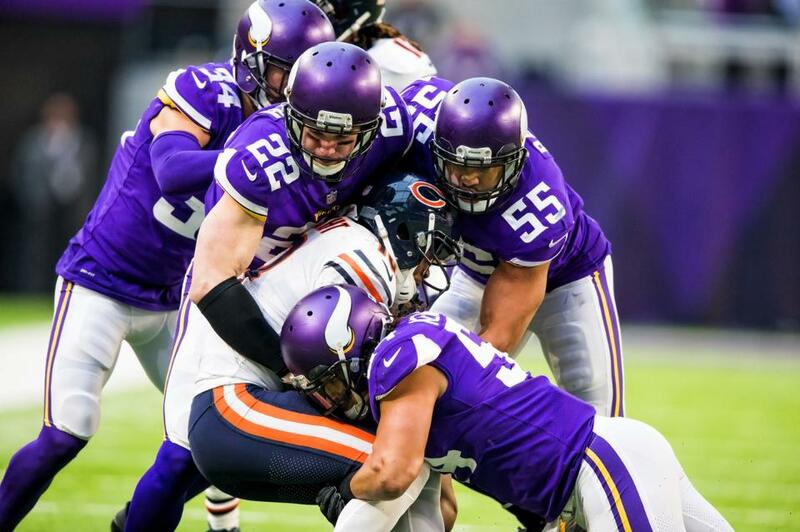 These skills sets to Zimmer are essential for his defensive ends. It goes to show how Brian Robison has been able to improve towards the end of his career. He is the exact definition of a Viking. His football career is down to its last hoorah. I hope that the team asks Robison to restructure his contract to a more team friendly deal. Just like Terance Newman, the squad could use his depth. Linval Joseph and the newest member of the team, Sheldon Richardson, are both players that started their careers elsewhere. Joseph, in my eyes, is one of the most under-rated players in the league. I cannot wait to see him next to Richardson next season. These two should compliment each other well. I am not trying to discredit these two, more-so give credit to Joseph; He gave Shamar Stephen and Tom Johnson the ability to have excellent seasons by eating up double-teams. The Joseph and Richardson combination creates one of, if not, the best defensive line in the National Football League. Next seasons success will be dependent on the players discussed. They need to stay healthy. Depth may be, as the old saying goes, “An Achilles Heel.” These players are to the point where they understand Zimmer’s scheme. Play together, know your role each and every down, and watch out. I do not want to excite you too much, but it could be another historically great season for this defense. The draft will be crucial to adding additional depth. 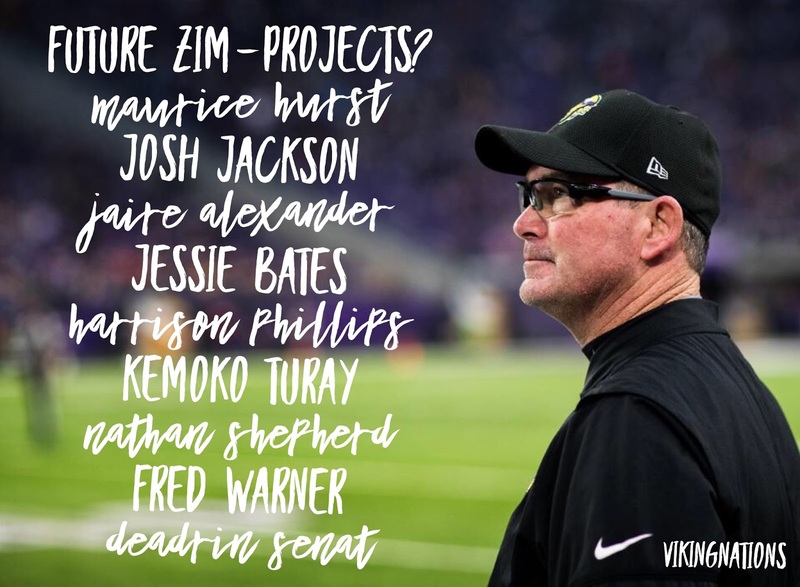 Mike Zimmer has proven to take a college talent, and turn them into a product of a system that is extensively efficient. His future projects will likely come in later rounds due to the dire need of offensive lineman. 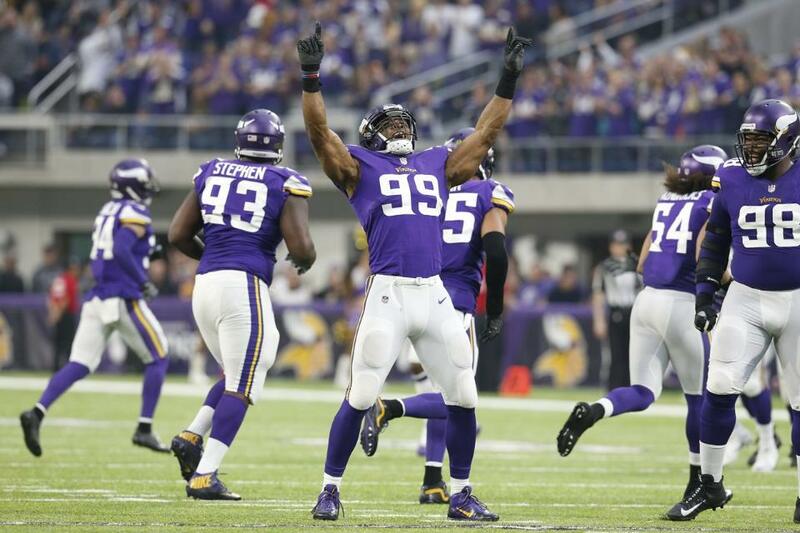 However, if someone like Maurice Hurst, or even Josh Jackson is available, Zimmer may look to entice the organization to draft on the defensive side of the football. Whomever, the organization, decides to select to uplift their defense, they should expect their head coach to strenuously bring out their best football for years to come. VikingNations would like your opinions on which prospects you would like to see in purple.